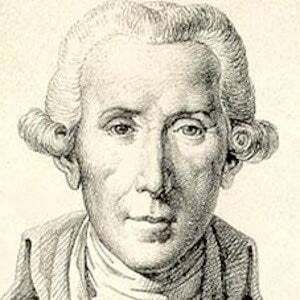 Late eighteenth-century classical composer known for his Cello Concerto in B Flat Major and his String Quintet in E. An accomplished cellist as well as a composer, he became known for his ability to play violin pieces on the cello. As a child, he studied music in Rome, Italy. He was later employed as a court musician in both Vienna, Austria and Madrid, Spain. His artistic patrons included Prussian King Friedrich Wilhelm II and French Prince Lucien Bonaparte. He and his musician father played together at Vienna's Burgtheater. Later in his life, he married twice and fathered two sons and two daughters. His chamber music pieces were heavily influenced by the work of composer Joseph Haydn.